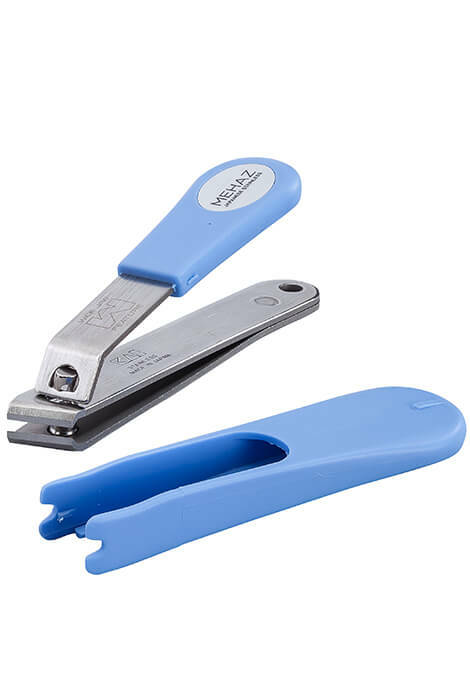 Even the thickest toenails are no match for this Mehaz® Pro Angled Wide Jaw Toenail Clippers. 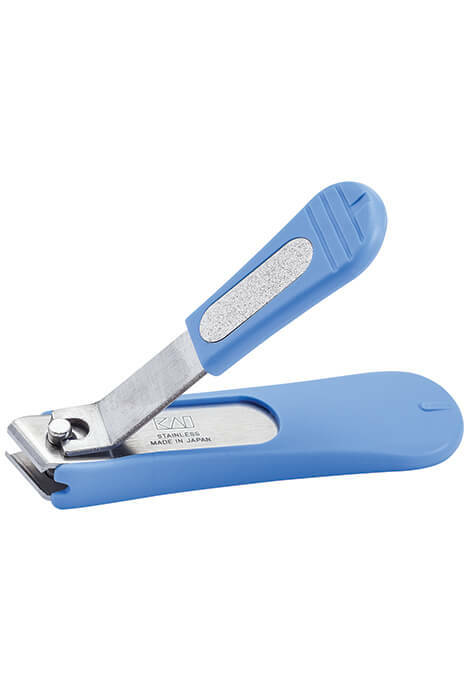 The heavy duty nail clippers easily cuts thick toenails. 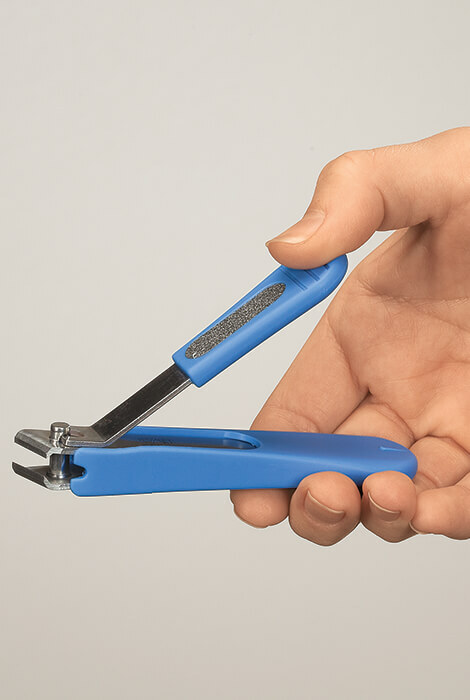 The angled straight-edge blade of the wide to nail clippers is ergonomically designed, and the handle can be adjusted for right- or left-handed use. Stainless steel blades for rust-free disinfecting. Removable clipping catcher sleeve. Measures 4 3/4" long. This stainless steel implement can be safely disinfected without rusting. Remove plastic clipping catcher prior to disinfecting. If immersing implement in liquid, use a solution that is safe for metal and plastic.